Save the Date: TOMORROW, June 5 a Day of Giving in Mrs. Meredith's Honor! Calling all past and present St. Mary educators, administrators, staff, board members, and clergy! You are cordially invited to the St. Mary Interparochial School Golden Gathering of Educators and Leaders Past and Present! All past and present educators, administrators, staff, board members, and clergy are invited. Cocktails and appetizers will be served. Join us on November 29, 2017, from 1:00-2:00 PM for our second Open House of the year! Ordering Lunch for your child will take two easy steps. 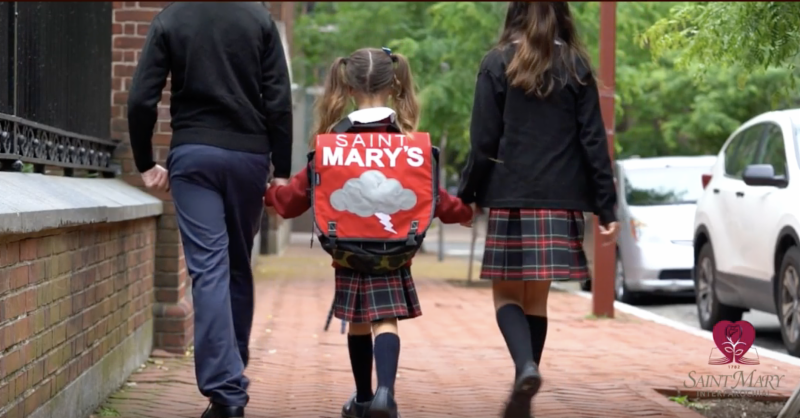 Click on this link to access the St.Mary online portal. In the blue bar at top, click on "Modules", and select "Lunch" to view the menu calendar. Click on an item and fill out the form to order lunch for your child. Annual Giving 2016-2017 - Goal Accomplished!